Clinton police have not found the culprits responsible for setting loose hundreds of dairy cows in late November but are developing leads. CLINTON — More than a month after hundreds of cows were released from their pens during the night, police are still seeking the people responsible for the acts of vandalism. Police Chief Rusty Bell said Thursday that his department is continuing its investigation and developing leads but hasn’t made much progress since the incidents happened. Shortly after the events happened, Clinton police were contacted by the FBI, which offered its assistance to the local agency in case the events were linked to actions of environmental extremists. Clinton police declined the FBI’s help, though, saying they believe the culprits were juveniles. Bell said the department continues to conduct interviews and talk to people who they believe may have contact with those involved in the incidents. He said this week they have spoken to two or three people who they believe may “know somebody who knew somebody” that could lead to the culprits. Bell said he is still hopeful they will find the culprits, given the smallness of this rural community, which has a population of about 3,500. He said if police stay diligent, eventually someone will come forward to talk. 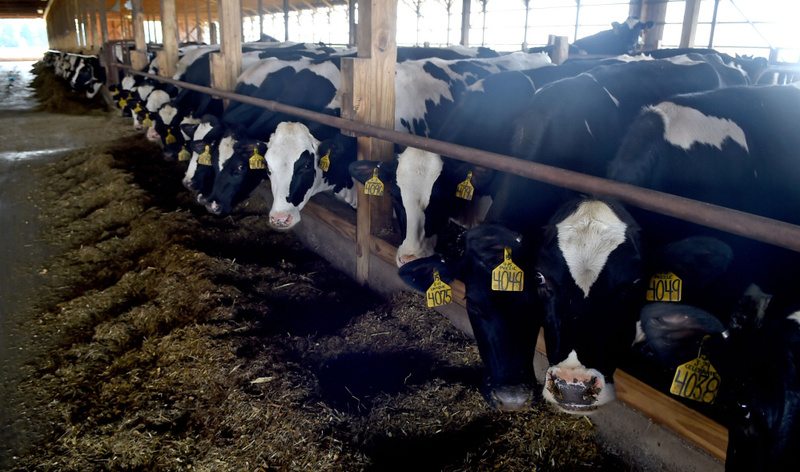 The incidents began on late Nov. 29 or early Nov. 30, when farm workers at the Misty Meadow Farms found hundreds of cows had been released from their pens in two instances. In the first instance, workers found that roughly 150 dairy cows had been released from their holding pen. The cows were returned to their pens without incident. Then, hours later, roughly 500 were released from a holding pen. One of those cows fell into a drainage hole and died as a result of a broken neck. The cow that died was valued at around $2,000. Additionally, farm workers discovered that stainless steel cooling tanks for milk and cream had been turned off. The tanks were turned back on and the milk and cream were saved, but had those products spoiled, the value of the loss would have been $10,000. Two headlights from a farm truck in the garage had been stolen, as had some meat from a freezer in the garage. A pellet or BB gun also was stolen, and it probably was used to shoot out a window of a nearby tractor. That same night, the nearby Wright Place Farm in Clinton was also the victim of vandalism. The damage was significantly less at that dairy farm. No cows were released or injured. Four streetlights were shot out, probably with the gun stolen from the Misty Meadow Farm. Later, a farm worker noticed a tractor had been moved. Clinton was not the only town to be struck by bovine-related vandalism in the tail end of 2016. On the morning of Dec. 6, about two dozen black Angus cows were released from their pens at Meadowbrook Farm, owned by Mike Brown, on Stanley Road in China. However, that appears to have been the only other recent major incident involving cows in the area. Sgt. Frank Hatch, of the Kennebec County Sheriff’s Office, said the investigation into the Meadowbrook Farm case has been suspended, because of a lack of leads. Hatch said the case will remain suspended until the department is able to generate any more leads.